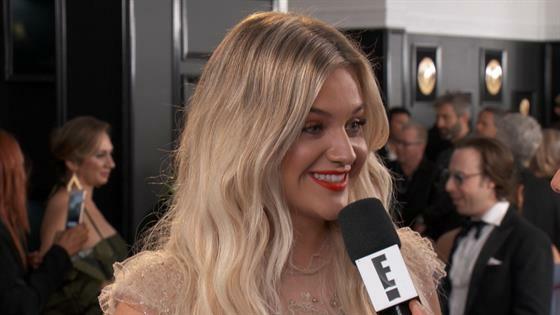 Kelsea Ballerini's most loyal fans wouldn't miss the 2019 Grammys for the world. As music's biggest night kicked off at the Staples Center in Los Angeles, one of country music's biggest stars couldn't help but receive support from her mom and dad. "She goes, 'Are you freaking kidding me?' She's here tonight. She's probably somewhere crying watching this," Kelsea shared with Ryan Seacrest exclusively. "She's not on the carpet. She's inside." The "Miss Me More" singer added, "My mom's here. My dad is watching at home. I FaceTimed him on the way here. They both have been so supportive and just to be able to share these kind of moments with them. It's like—it makes it all worth it you know?" "It's my second record and I feel like the first album, I didn't have a record deal the whole time I was writing it so I didn't know I was writing for an album," she explained. "I was just kind of writing these songs that I loved and all of a sudden I got the record deal. I was like, 'oh, let's put these songs together.' It feels like it makes sense." Kelsea added, "Then by the time the second record came along, it was like every time I wrote a song, I knew that it had the opportunity to be on a record and be heard I think it was a lot more thoughtful this time."